Rags of plastic, caught in the branches when Albany’s Periwinkle Creek ran high, were still there on Friday. That’s because lots of the plastic debris you see hung up along our streams and fluttering around the countryside does not look like former checkout bags. It looks like all kinds of other plastic film, and most of that would be exempt from the ban. On Feb. 19 the House Energy and Environment Committee held a public hearing on the bill in question, HB 2509. It scheduled a work session for March 28, when it will probably vote on an amendment that spells out what bags would be banned: only single-use bags provided at checkout. Bags provided at any other time would continue to be allowed. Among the exemptions are laundry and dry-cleaning bags and any plastic bag provided to hold merchandise that may be damp, such as frozen food or potted plants. Also exempt, of course, would be the kind of plastic bags people buy to throw away, such as trash and leaf bags. I live in a city with a ban on plastic bags and it really isn’t that big of a deal. It is much better for the environment. I support it. I’ve renounced my opposition to the ban after discovering that $1 reusable bags seem almost indestructible, and two of them hold as much stuff as I can carry a couple blocks and manage on the bus. My only complaint is that their handles are all too long. Paper bags are utterly useless except for loading into a car trunk straight from the grocery cart. Requiring them to be recycled is just more … well, read on. Like you say, it probably won’t make much difference. So, consider it a symbolic move. It’s another easily-searched way (like abortion, marijuana, and sanctuary cities/states) to distinguish red zones from blue zones. Those who want to be part of the cultural-inbreeding trend have one more indicator. It is not the government’s job to tell you whether or not you should use a plastic bag. You are capable of deciding this for yourself. This is precisely what happens when an Authoritarian takes the reigns. Fine, Mr. Shadle. You figure out a way to keep all of that polypropylene from entering the food chain. Make the so-called single use “plastic” bags out of biodegradable material instead of oil. So, even if disposed of inappropriately, they decompose and go back to organic matter. Well, what the heck will we use to pack away the cat litter box material?? At least our representatives in Salem can claim in the next election they “did something”!…. “how much” is irrelevant to me. That it does do *some* (whether it be 1% or .000001%) is key. For the most part, we pride ourselves on our Oregon environment. I’ll guarantee you that is NOT because of business largesse in helping improve the environment! They have to be mandated to do the right thing! People have short memories to when Oregon’s major rivers were cesspools, and it was standard practice to simply drain raw sewage and storm-water into them. 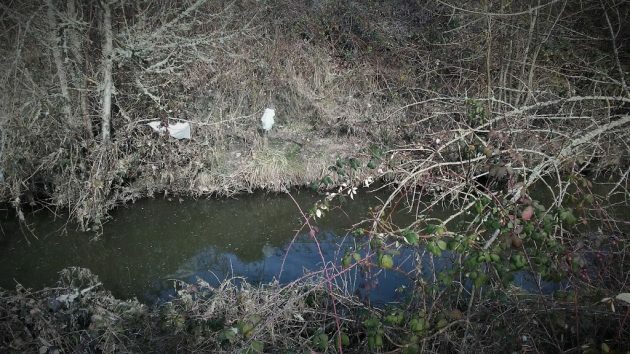 IMO-plastic bags are in the same realm as “baby wipes” – and can wreak havoc on sewage plants: https://bit.ly/2yKY3Ph I’m very strongly in favor of the proposed ban! Gee Ray! The City of Portland just finished their storm sewer system so they wouldn’t continue to put sewage into the Willamette as they have been doing for over a 100 years. Perhaps all you city residents should get your act together and quit criticizing everybody who questions keeping plastic straws out of our hands which are .04% of plastic waste and at least 95% are thrown away with the cup and now we have the push to get rid of plastic bags which most people reuse or throw in the trash. Why don’t you get a clue and stop the importation of plastic from China which is not recyclable. Gee Al! You sure like to conflate issues! I have never done so and am in 100% agreement with banning plastic straws! The idea of doing so would be a very good thing IMO. However, NO one in the city has any power to make that happen – and you know that. Yes, Albany can do this. It is not unusual to restrict city spending in different ways. Banning city spending on Chinese imports is possible. All it takes is political will by the Council. But residents would still be free to buy Chinese imports with their own money. At least today. Given the current desire for authoritarianism and centralized government, don’t be surprised if a future city government tries to impose a ban on the purchase of “undesirable” goods from “undesirable” places. Our political leaders can’t even gin-up the courage to force Albany to come into state compliance on the critically important affecting the entire population for the foreseeable future: whether or not to expand ADUs from 750 square feet to 900. And now you’re asking them to stake their political capital on an issue this crucial? Apparently you have not carefully considered the many ugly ramifications such action might unleash? I couldn’t agree more. America and Albany lead the way in authoritarianism. The Gang That Couldn’t Shoot Straight over at City Council, using self-created CARA authority, have aligned themselves with the Mussolini-like crony mobsters currently occupying 1600 Pennsylvania Avenue. Guess my age is showing but I can remember when your groceries were bagged in paper and you weren’t charged anything extra. It’s a cost of doing business. In spite of my belly aching we have been using the cloth bags for a number of years and find they are much better than paper or plastic. What makes my life just a teensy bit more pleasant is to do my own checkout, my own bagging, not being offered help I don’t want, and not having to answer the meaningless and intrusive “how are you doing today?” It’s part of why I like shopping at Winco and Fred Meyer, avoid Trader Joes and Market of Choice as much as possible, and have no use for Safeway. Eww, cloth grocery bags can make you and others sick given all the germs. What is needed is a government regulation that consumers must prove that their cloth bags are new or have been washed at least once a week. This is a public health issue. The city should set up a new department – Clean Bag Police. Think of all the jobs that will be created…. Pro Bagger: my rights trump all. Anti Bagger: the end of the world is nigh. Lucy the Cat is happy to see that plastic bag arriving each morning to start her day off right! What will we do, what will we do? It was no more than 20 years ago you walked up to the checkout counter and there was a sign that read, Save a tree and use plastic. Thank you radical environmentalists. If being grateful for living in one of the cleaner, healthier and natural environments in the country is too much of a task for you and you must blame who you should be thanking for the clean air and water you use, then please leave Oregon. Houston seems more up your toxic alley. Whatever it might have said, it really meant “Save our bottom line, use plastic.” Plastic bags saved time (faster checkout, lower labor costs) as well as costing less in the first place. In other parts of the country where the forest-products industry was less important, there was often no choice – plastic only (especially in less upscale stores). If people used their hands to work instead of worthless argumentation, this city and county could find a way to work together. It starts with kindness.